NM Economic Development Secretary Matt Geisel: Ideum "a true economic development success story." We are extremely pleased to announce the official opening of our new Exhibit Fabrication Studio in downtown Corrales, just a few miles north of our home campus. 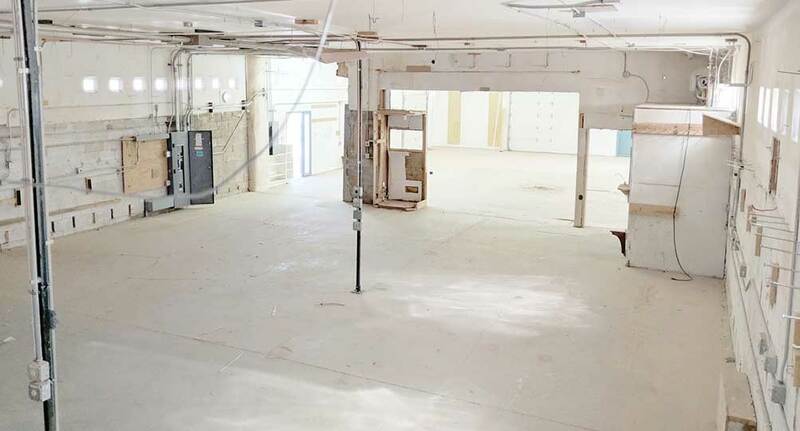 This new multi-use space provides Ideum with an additional 5,500 square feet of workshops, testing areas, and experimental space. We'll be focusing our work in the Studio on building large-scale immersive installations, such as video walls, projection systems, and multi-screen experiences. 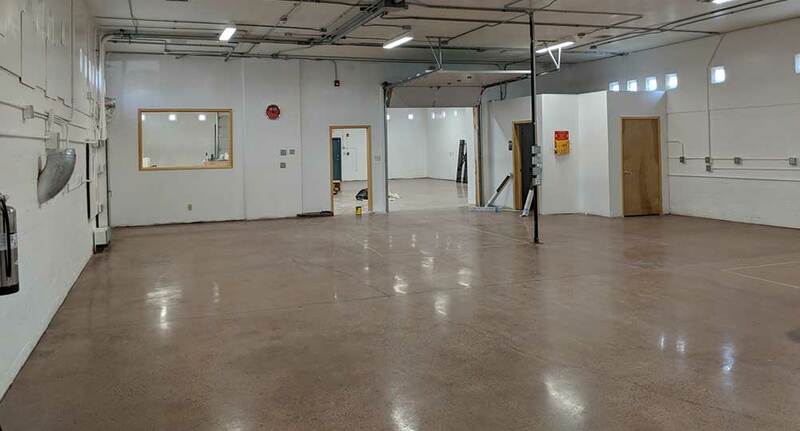 These new spaces will also be home to the design and construction of custom exhibits, furniture, cabinetry, and framing for our expanding Inline Series of multitouch tables and displays. 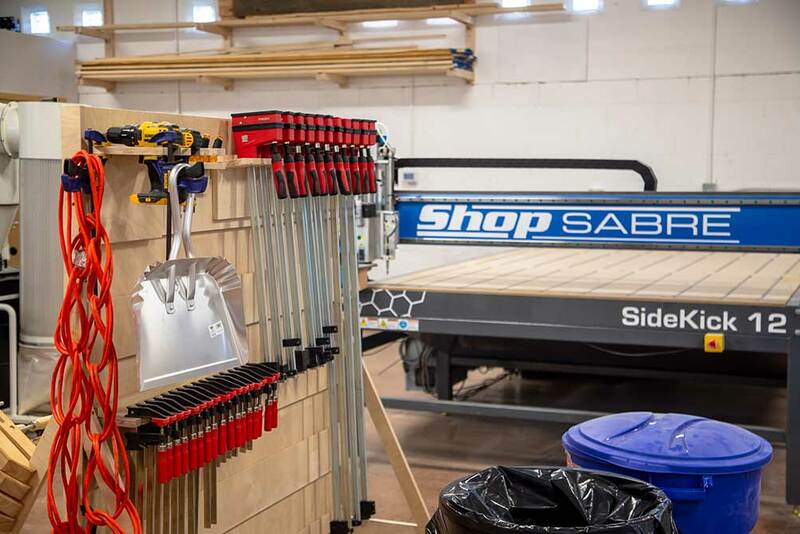 The Studio's suite of fabrication equipment includes a new computer-numerical-control (CNC) router, a plasma cutter, a mill, and a full range of woodworking tools. 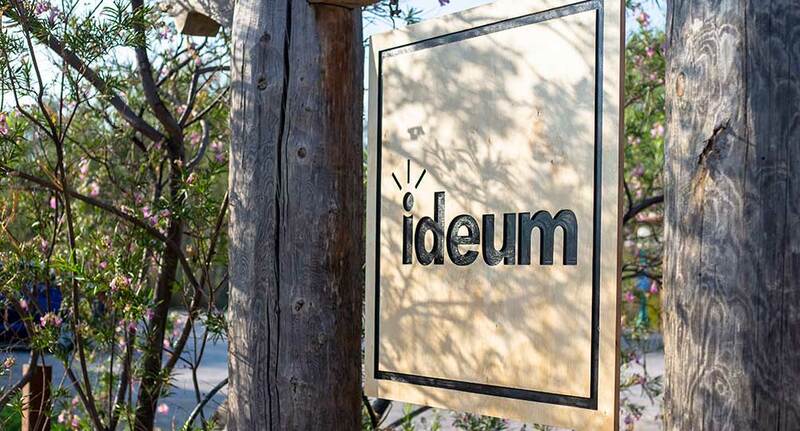 Our new Studio brings together all of Ideum's creative energies and links our design, software, hardware, and engineering efforts more effectively than ever before. building two custom 86” touch tables as part of Science Museum of London's upcoming Medicine Galleries exhibition. At the building's ribbon-cutting ceremony on August 20, Ideum Founder and Creative Director Jim Spadaccini said that "We are proud to be expanding in Corrales and excited to launch this new state-of-the-art facility where we will create a new generation of physical and digital exhibits for our clients across the globe." 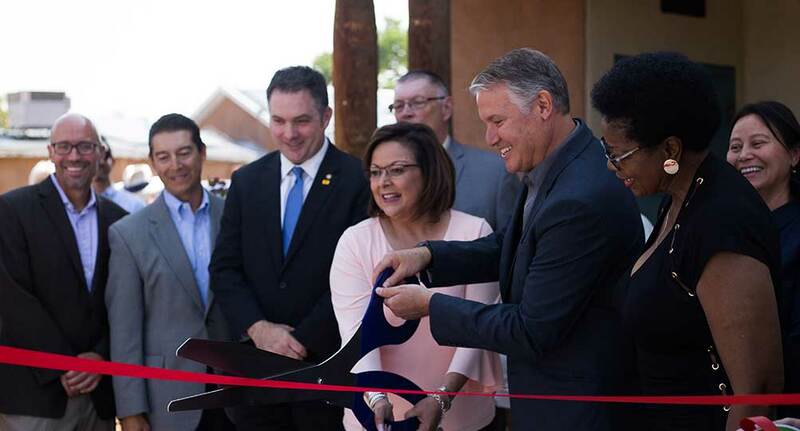 The ceremony was attended by a host of dignitaries, including New Mexico Governor Susana Martinez, who noted that "It's incredible to see our reforms and tax credits help homegrown companies, like Ideum, succeed and grow in New Mexico.” Ideum's steady growth since relocating to New Mexico in 2005 has been supported by LEDA, the state's closing fund, and the Job Training Incentive Program, or JTIP, which helps us train new employees in a wide range of technical fields. We've also been honored by the support of Sandoval County and the Village of Corrales—and by the wide range of clients and collaborators who've worked alongside us on dozens of different projects. We thank you all and look forward to the innovative new projects we'll work on together in our new spaces! Gov. 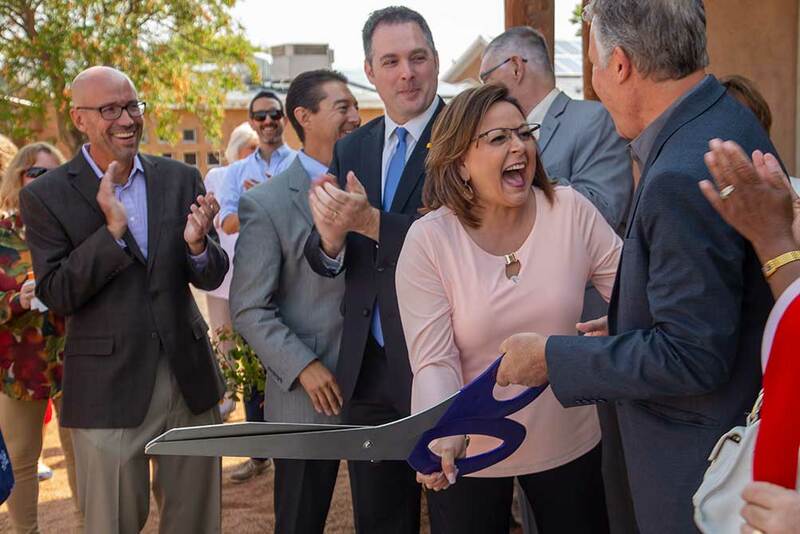 Susana Martinez and Ideum Founder Jim Spadaccini cut the ribbon officially opening Ideum's new Exhibit Fabrication Center. 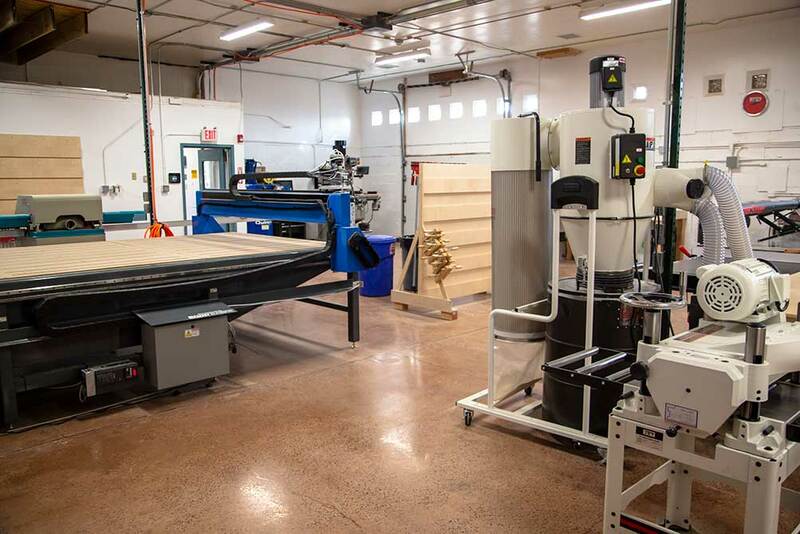 Ideum's new Exhibit Fabrication Studio features state-of-the-art tools, such as a new computer-numerical-control (CNC) router. Home for the design and con­struc­tion of exhibits, furniture, cabi­netry, and Ideum's Inline Series of multi­touch tables and displays.